Muslins are ugly, they just are. So bland and colorless. When I make one I can appreciate the beauty in it, well, because I made it. 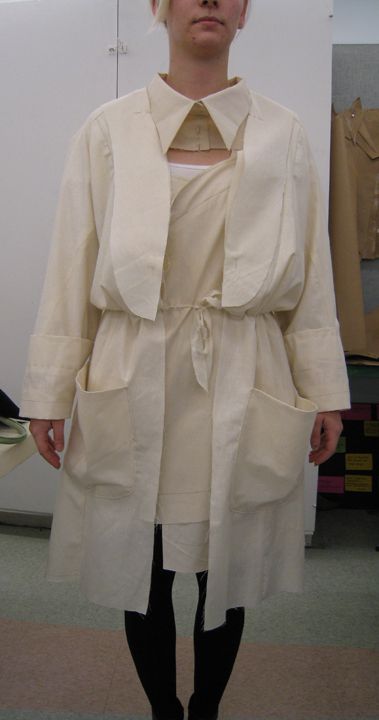 But it takes a lot of imagination to see the final garment in a beige mass of unbleached cotton. 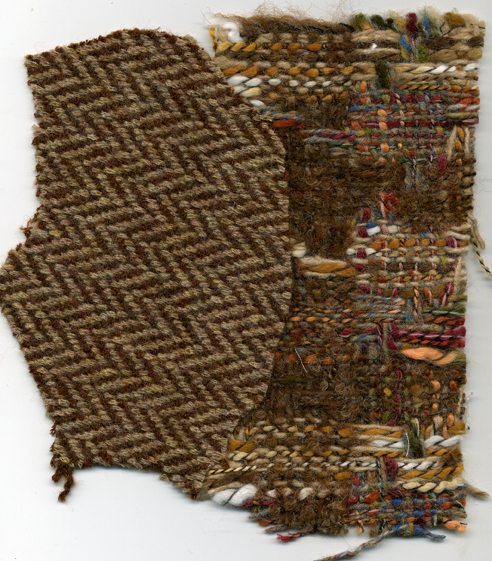 For example, here is a snap shot of a muslin, a sketch of the same coat and swatches of the fabric that the final coat will be made from. 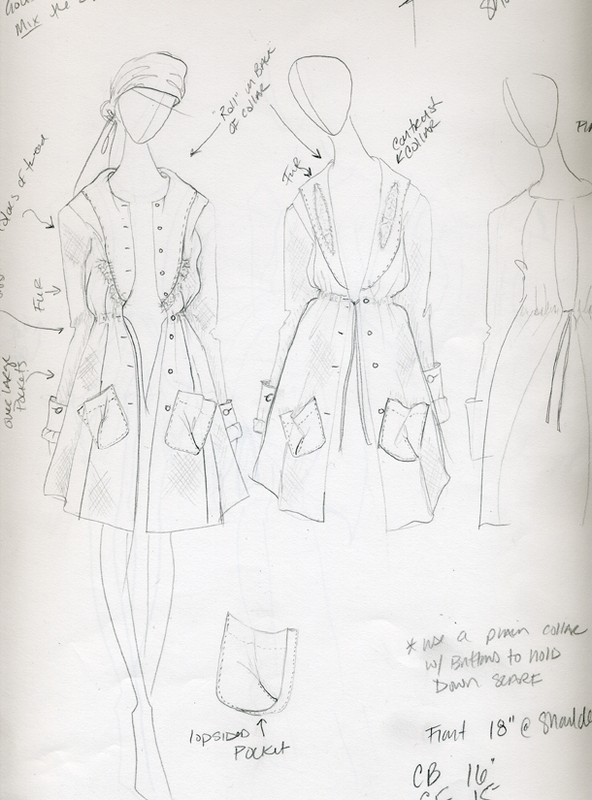 I think seeing the sketch and fabric makes things a little clearer, no? 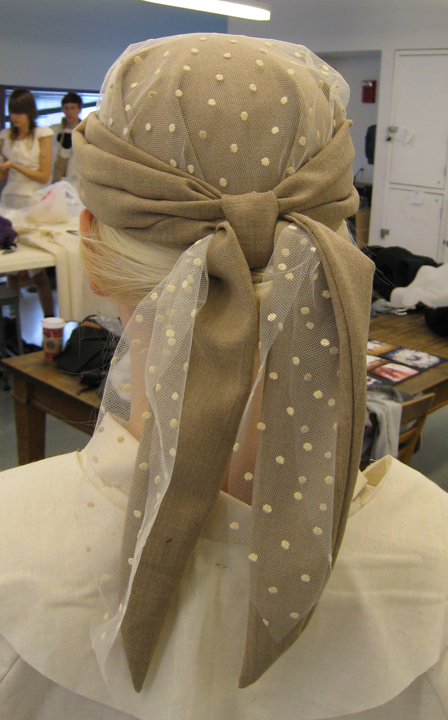 With all of that said here are some more snap shots of muslins on the models from our recent critique. This shirt dress has a row of buttons and button holes on each side so that it can be buttoned right over left or left over right. 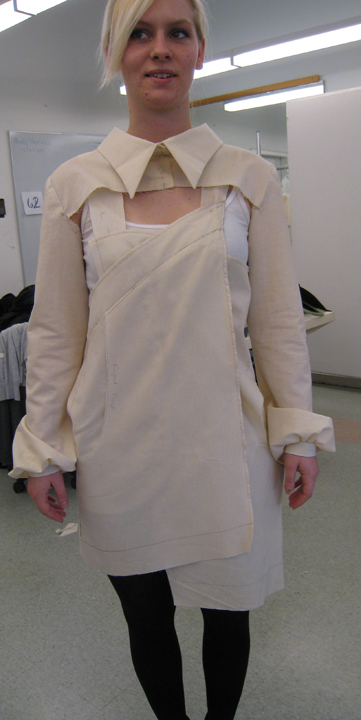 Sewing in sleeves is a real pain, especially when you know you are going to have to do it many, many times. That is why some of these shirts only have one sleeve. 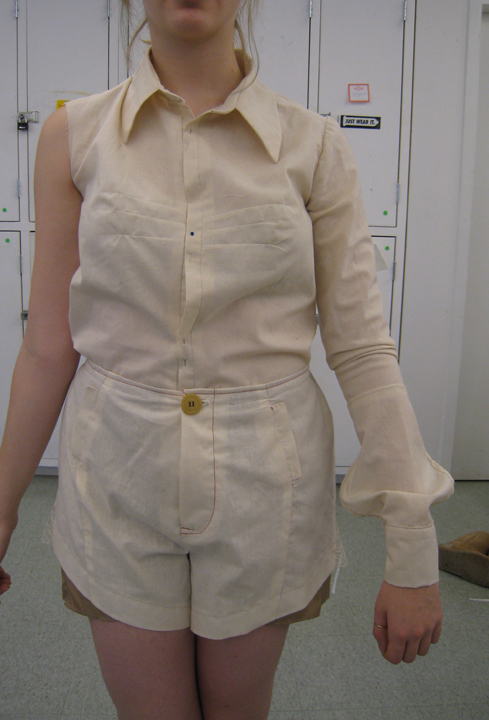 My sleeves also have a lot of detail in them so I tend to only make one in the muslin. 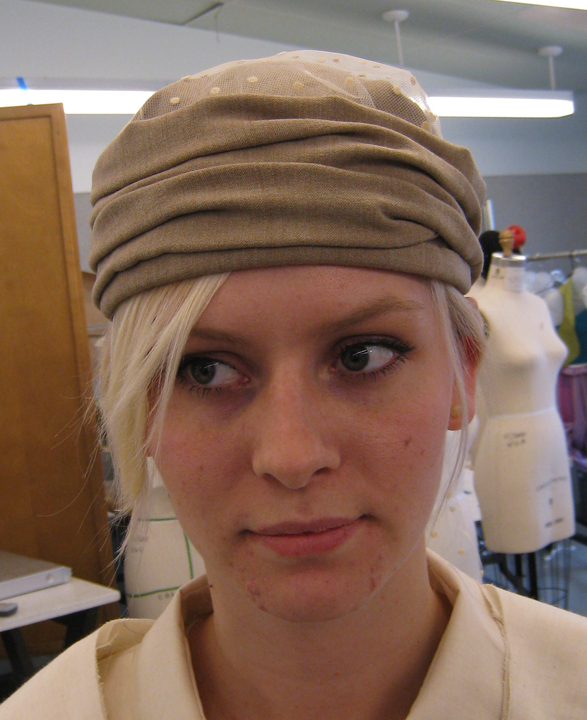 This hat is actually in final fabric, it’s the first hat of hopefully many. Wow, I think it’s pretty amazing! Can’t wait to see the final. Thanks Susan! I will post photos of this when it’s finished. ← What’s in a Muslin?